Ladies and gentlemen, I present to you the 2011 Spike Video Game Awards nominees. The Spike VGAs are always an interesting event. "Interesting" can mean a lot of things to a lot of people, of course, so perhaps I'll just toss out the nominees in a few noteworthy categories and let the matter speak for itself. There are plenty of other categories but I think this mix nicely captures the confusion and puzzlement that is the Spike VGAs. Deus Ex vying for best RPG? The Witcher 2 not vying for Best RPG? Rage vying for... well, anything at all? [It's up for Best Graphics, too.] I'll admit that I don't have any idea how the nominating process works, nor how it is that Portal 2 and Arkham City are up for Game of the Year and Best Xbox 360 Game but not Best PlayStation 3 game, but I suspect that even if somebody explained it to me I'd still be entirely baffled by some of these choices. The 2011 VGAs will also see The Legend of Zelda become the first-ever addition to the Spike Video Game Hall of Fame. "It is only natural to start with Zelda," said Geoff Keighley, Spike executive in charge of publisher relations. "The Legend of Zelda is a franchise that inspired many of us to see the potential of games when it debuted 25 years ago, one that has successfully transitioned from one game console generation to the next and has continually shown the narrative and artistic potential of the medium." 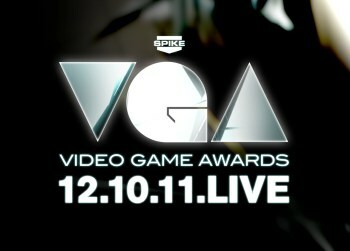 The 2011 Spike Video Game Awards go down live at 8 pm on December 10, on Spike TV, MTV2 and Spike.com. See you there, bro!